Have you always dreamt of seeing your granny take part in a drag race? What could be funnier than seeing two grannies giving their all in an unadulterated drag race. One topples over after three meters and the other one cheats and hops onto her mobility scooter to reach the finish first. Unfortunately... this kind of scenario only ever takes place on TV during programs like Off Their Rockers. We've asked our own grannies to give it a whirl but their set answer is: "Would you like another cup of tea dear?" 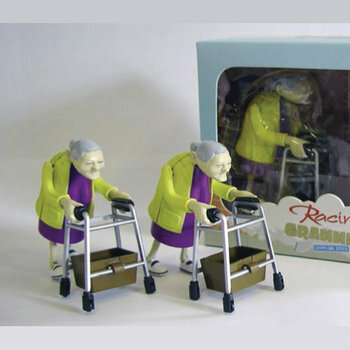 This is the reason why we developed a fantastic alternative: 2 racing grannies who are totally harmless. 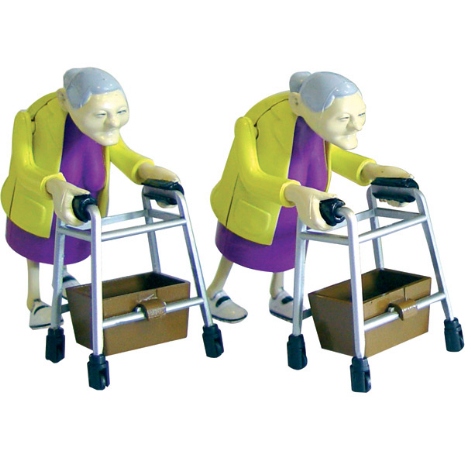 These charming ladies are probably one of the most ridiculous wind-up toys ever made. They are bound to make you smile. 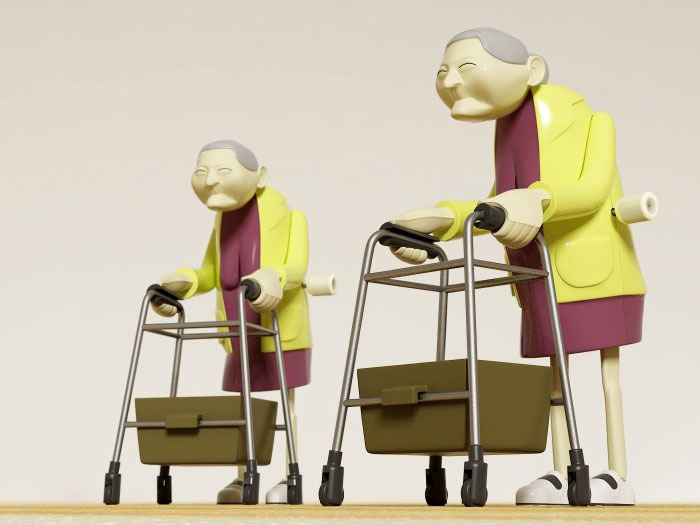 They look just like your own granny too: they come with a Smart-Zimmer frame, shiny silver hair, generous and saggy breasts, comfortable shoes and a shopping basket. Who will cross the finish line first in this battle of the OAPs?